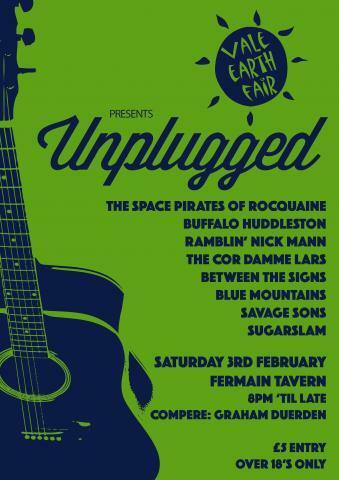 A night of acoustic(ish) music from some of Guernsey's finest musicians, the Vale Earth Fair’s sixth unplugged event takes place on Saturday 3rd February at the Fermain Tavern. Sticking with the same format, it will feature non-stop live music from eight different acts on two separate stages, with the wonderful Graham Duerden doing the introductions on alternating stages. Preparations are already underway for this year’s annual Vale Earth Fair music festival, which will take place at the Vale Castle on Sunday 26th August. The Vale Earth Fair is supported by the Guernsey Arts Commission.